CHARLOTTE, NC – FOX Sports, marking its 15th Daytona 500, is raising its game yet again, adding aerial drone coverage and a record number of in-car cameras to its already standard-setting production lineup for the 60th running of the Great American Race on Sunday, Feb. 18 (2:30 PM ET) on the FOX broadcast network. In an industry first, and working closely with NASCAR and ISC, FOX Sports is utilizing a drone to provide live coverage from behind the backstretch at iconic Daytona International Speedway. Tethered to allow it to fly for longer periods of time, it will be able to hover and move around outside of the racing area to cover the action from an entirely new angle for viewers. “Each year, Daytona Speedweeks allows us to develop, test and deploy more and more technical enhancements than we are able to do at most other events,” said Michael Davies, FOX Sports SVP Field & Technical Operations. 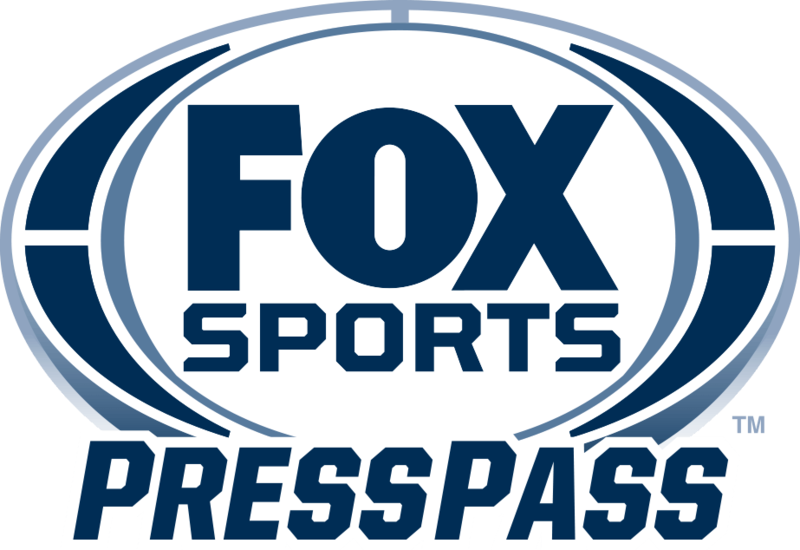 “The sheer amount of multi-day, multi-platform programming FOX Sports has over multiple races, qualifying sessions and practice sessions allows us the reps to do so. In addition, FOX Sports has a record number of in-car camera systems, giving fans a driver’s-eye view of the action. FOX Sports, NASCAR and their partners are deploying 14 in-car cameras (including the Daytona 500 pace car) for the race, more than in any NASCAR race in the last 15 years. Included in the mix is the popular Visor Cam, a small camera attached to the helmet of a selected driver. Developed by Maryland’s BSI, the Visor Cam was first used by FOX Sports at Sonoma with Danica Patrick, also becoming an integral part of the Eldora NASCAR Camping World Truck Series broadcast in 2017. Defending Daytona 500 champion Kurt Busch of Stewart-Haas Racing, and Joe Gibbs Racing’s Daniel Suarez will don Visor Cams for Sunday’s race. Stay tuned to FOX Sports GO for a unique and immersive compilation stream consisting of multiple in-car cameras, with live telemetry to dive deeper into the race. The FOX Sports streaming app also will display the linear broadcast alongside these exciting added elements. FOX Sports has enhanced its 3D-cutaway car, putting these graphics in the hands of the broadcast team. In addition to a touchscreen in the Hollywood Hotel, FOX NASCAR analyst Larry McReynolds will once again have his own dedicated touchscreen inside the booth, allowing for immediate access to enhance any technical story, giving the viewer clear illustrative explanations around the latest changes to the Cup cars. Viewers can go for a pre-race walk with two-time Daytona 500 winner and FOX NASCAR analyst Michael Waltrip down pit road – seeing what Michael sees with the RF hat camera.